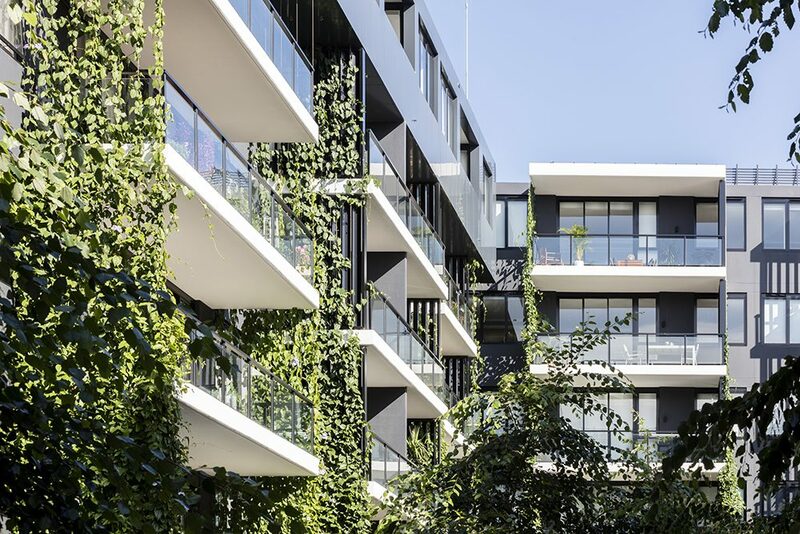 Tensile’s green facades while looking simplistic often hide a complexity. 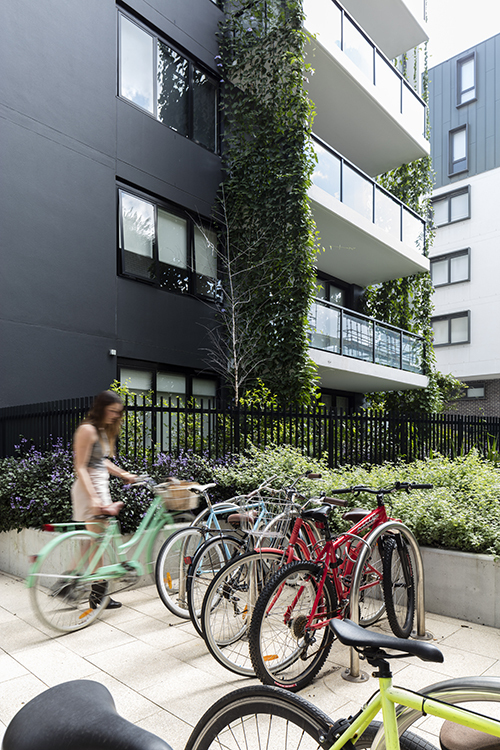 It is not simply a case of a stainless steel cable stuck on the side of the building and hoping for the best. 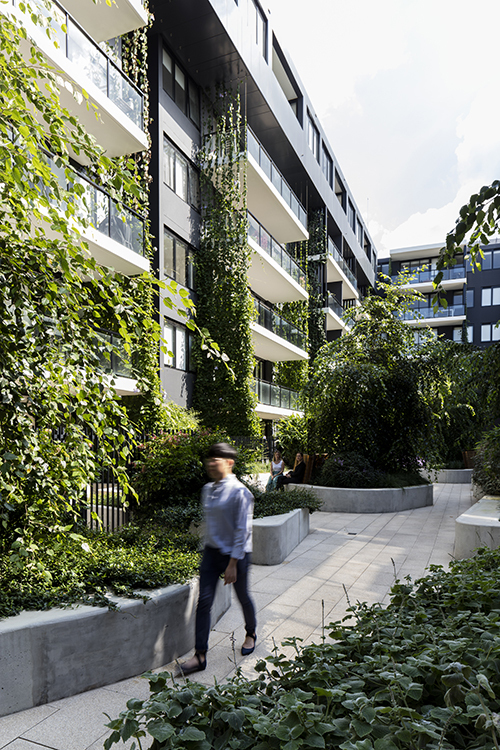 Careful thought goes into the micro climate, plant selection and habit for all species. There is an integration of plant and cable that when successful goes beyond all expectation creating an effortless design. 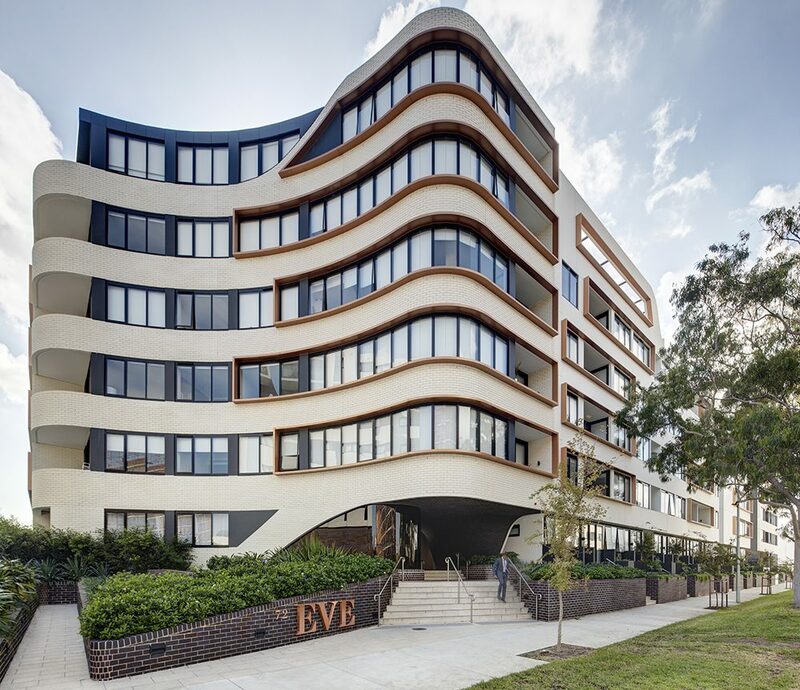 Eve Apartments, designed by DKO architecture, embodies the above. 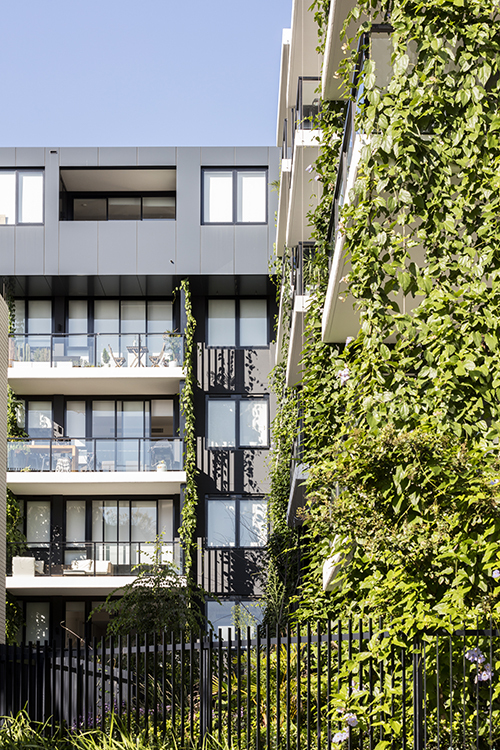 The green facades rise out of the courtyard climbing the 4 and 5 storey apartment buildings. 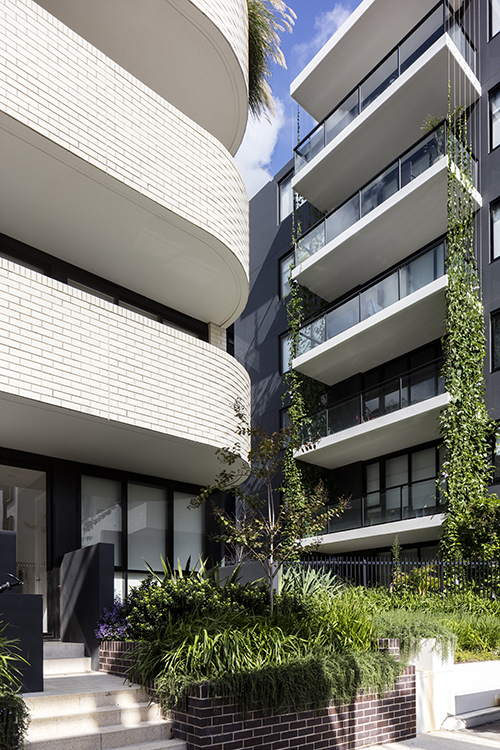 The cable systems supplied and installed by Tensile provide a visual barrier between apartments. 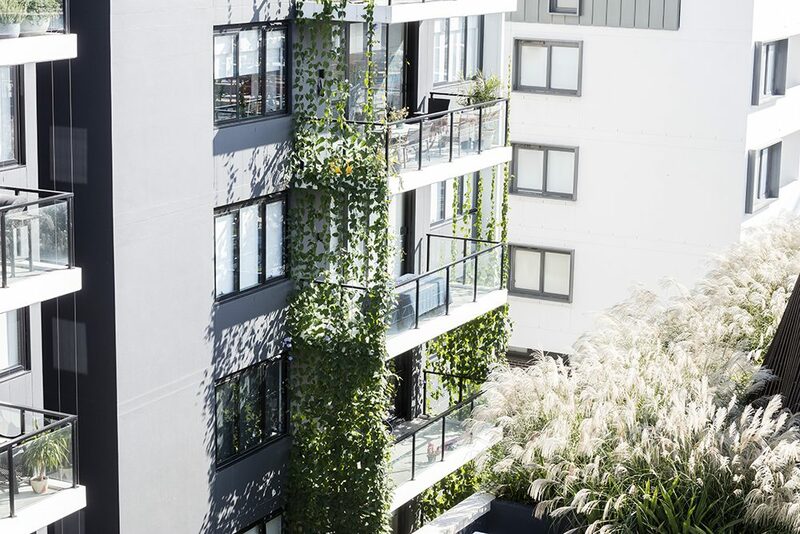 They use the Jakob Green Solutions range of fittings on 4mm stainless steel cables and are grouped together on the edges of the balconies throughout the courtyard providing privacy and a gentle outlook. 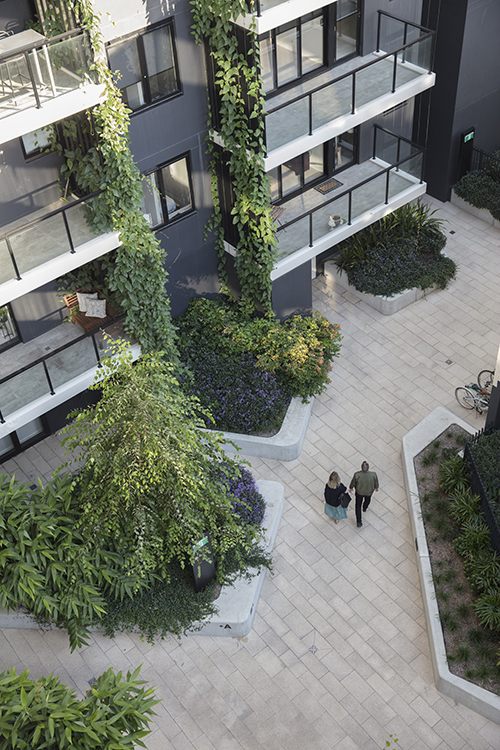 The gardens were designed by 360° Landscape Architecture with varying species used throughout in accordance with the various aspects and levels of solar access. 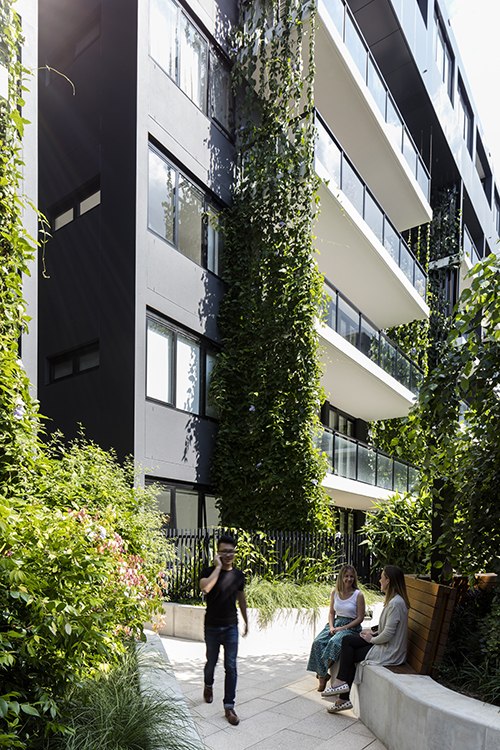 The climbers provide a low maintenance, high impact alternative to other vertical gardens perfect for a medium density development such as Eve. 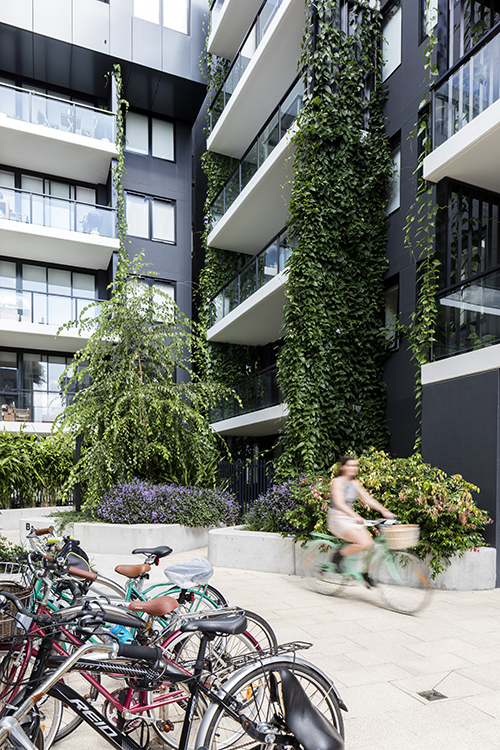 A simple but strong idea is the best way to describe the green facades within the Eve Apartments. 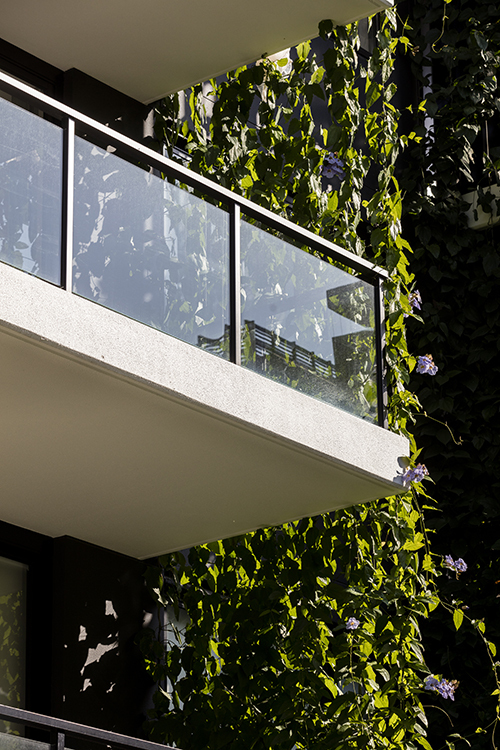 At Tensile we know we have done our job well when our cables become invisible making the facades appear effortless.